Make sure you’re studying with the most up-to-date prep materials! 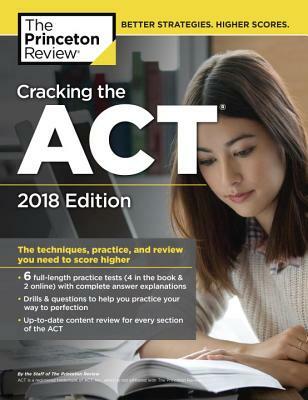 Look for The Princeton Review’s Cracking the ACT with 6 Practice Tests, 2019 Edition (ISBN: 9780525567653, on-sale 12/4/18). Publisher's Note: Products purchased from third-party sellers are not guaranteed by the publisher for quality or authenticity, and may not include access to online tests or materials included with the original product.